Well, Alan – this post has finally been uploaded. 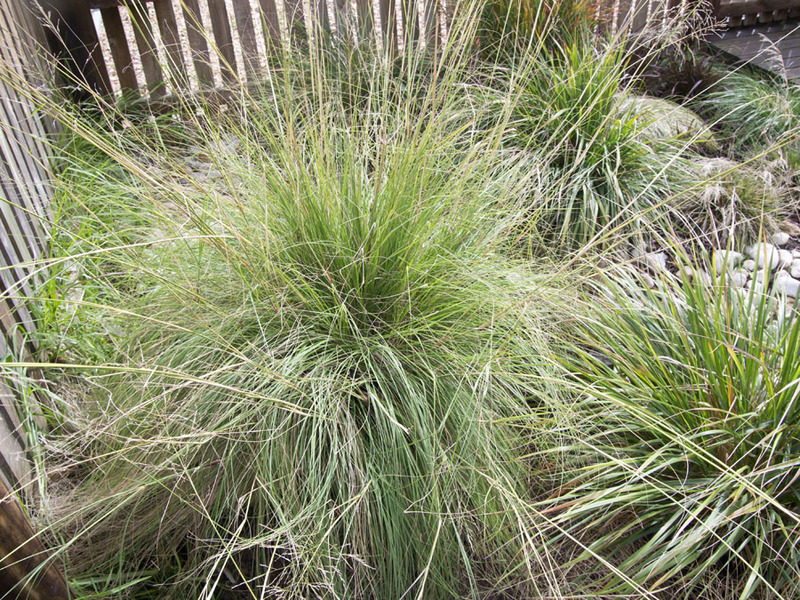 You have been patiently asking me to get a closer view of this big question mark – my bold grass and centre piece of my grass feature. 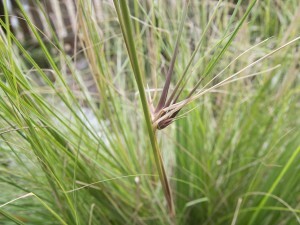 I have done a close up inspection of my Miscanthus Sinensis Gracillimus (it was labelled and sold to me as this!). 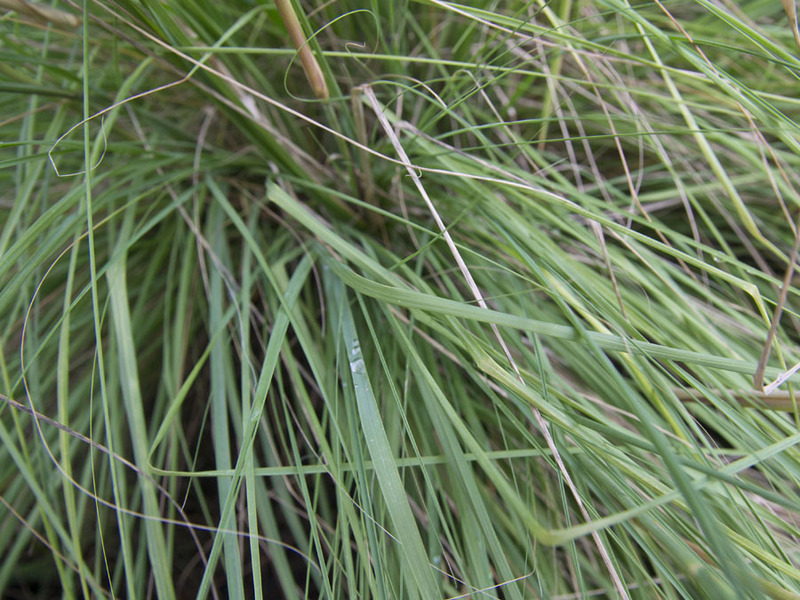 I know that the last post I did of my Grass Feature update you did question this, so here we are! 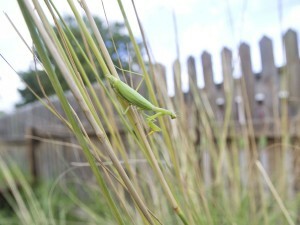 A up close and personal – and I also found more than I bargained for … check it out! 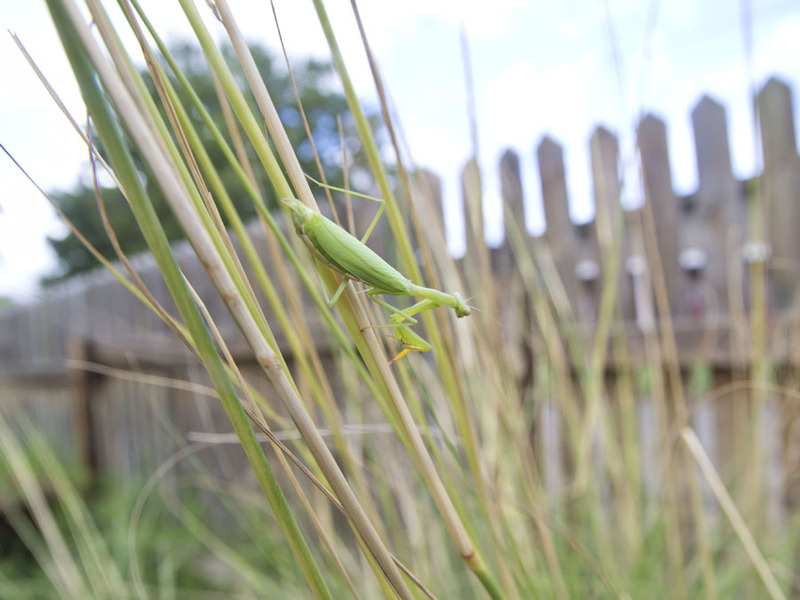 On closer inspection…. Buffy, what are you doing under there?? 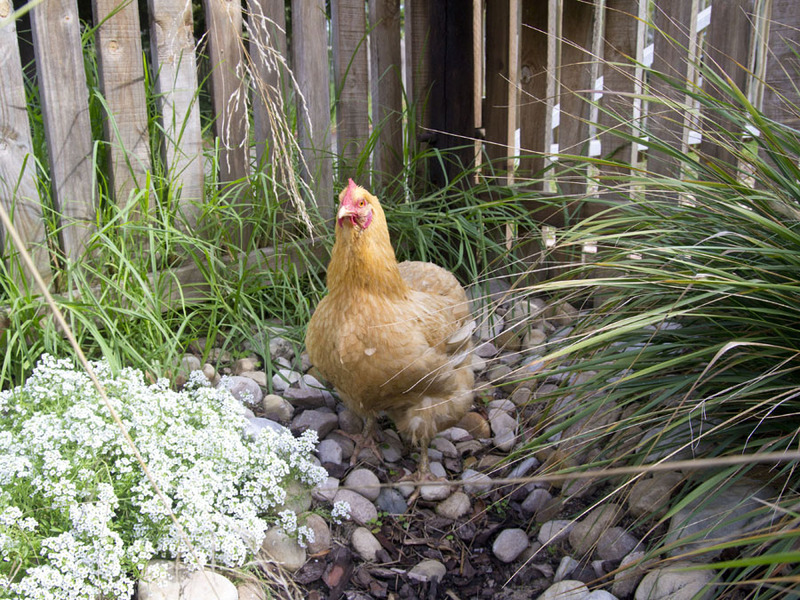 Well, Buffy is as proud as punch and was happy to pose for me with her egg stash, but don’t tell her that they won’t hatch – she is a real mother hen. 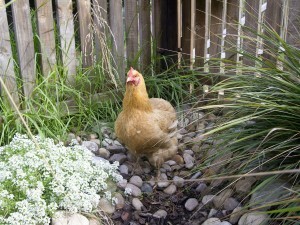 At a ripe age (for a chicken, I guess) of 5 years old she can still lay a beautiful egg! 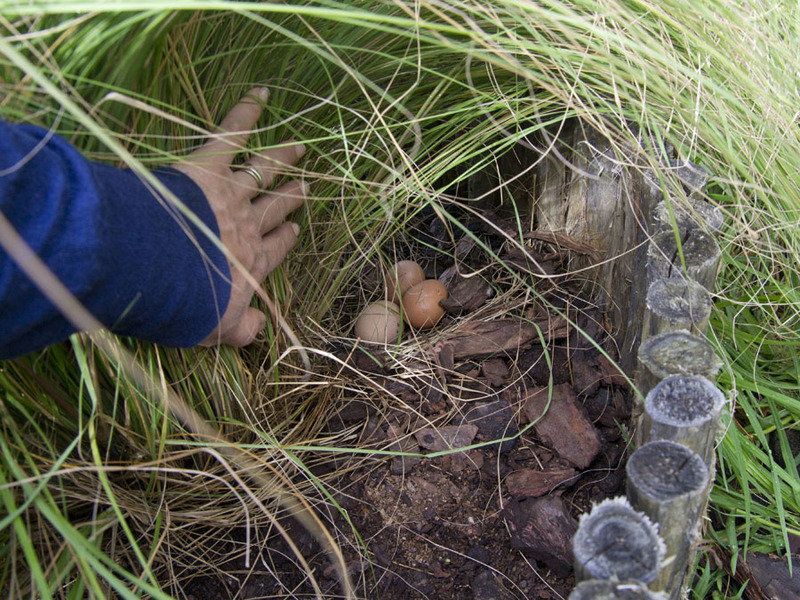 Oh, but she is standing in my dry river bed – not an egg clutch!! Thanks Alan, for your constant interest in all we do in our Two Gardens – we are both better gardeners for it! 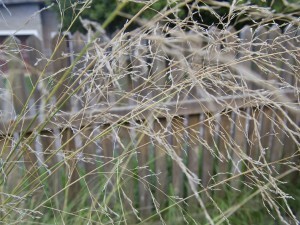 I don’t know what kind of grass it is, but I love how popular is is! 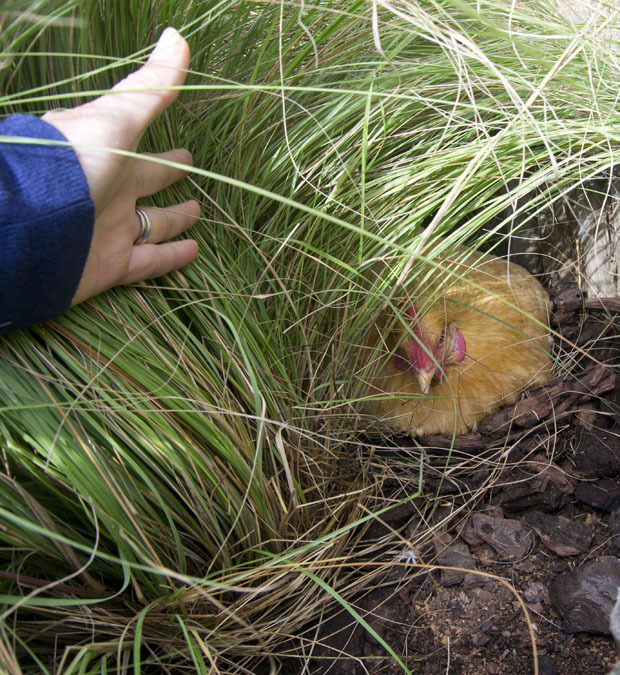 Amazing that so many creatures love to hide in it – and Buffy with her eggs was a true surprise! 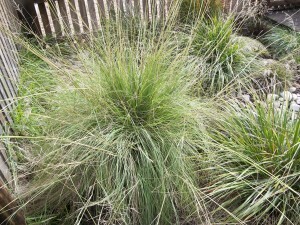 It is a lovely grass and the position is also good for it! 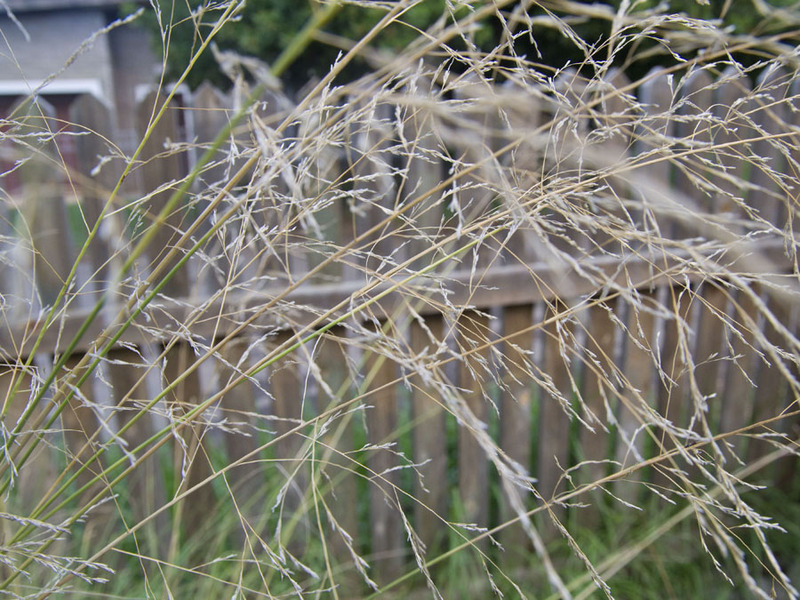 I think its a stunning grass, regardless of what it is. 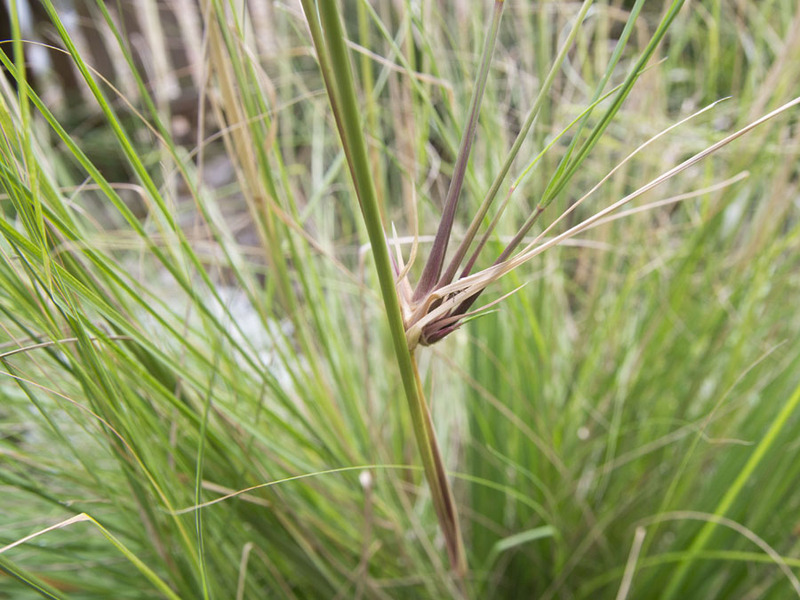 Thank you – I would love to see your Miscanthus!! Thanks Barbie! 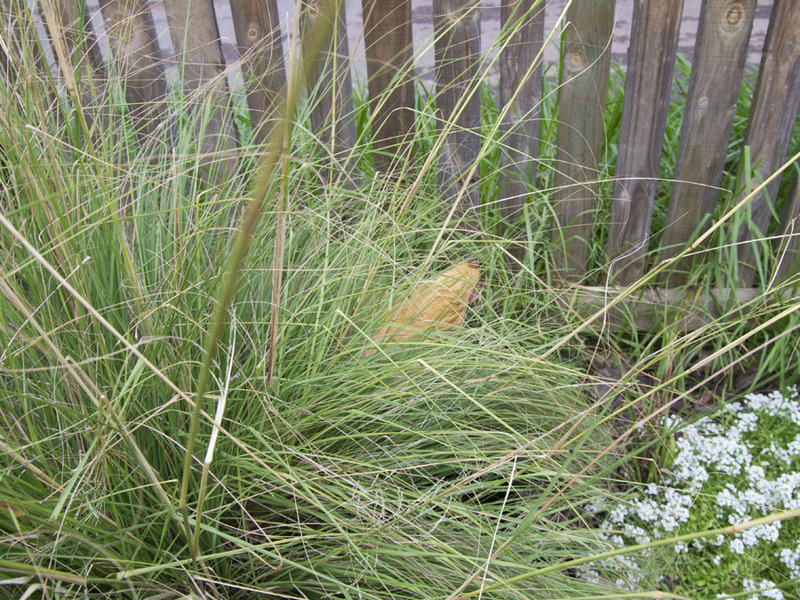 You definitely don’t have a Miscanthus there. 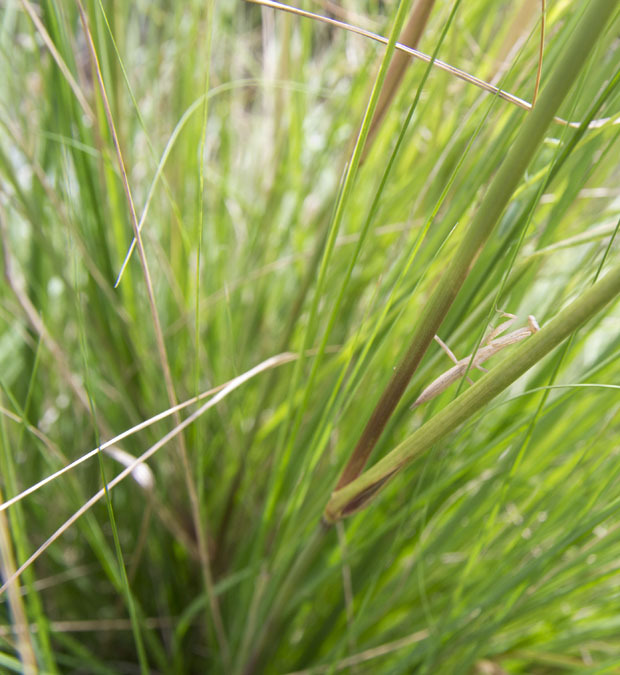 Three key features: the seeds, the way the stalks have some “branches” on them, where it almost looks like a new plant is growing, and the leaves don’t have a white stripe down the middle. I’ve got an email in to an expert to see if he might be able to ID it though. 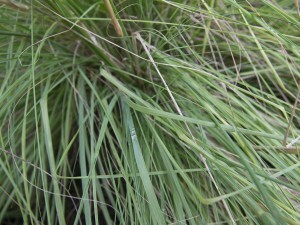 It is a nice grass though, isn’t it? I emailed author and grass expert Rick Darke, and was surprised and pleased to get a quick reply from him. Although he was looking at your images on his phone, he suggests it may be Eragrostis curvula, a South African native grass that self-seeds quite readily. 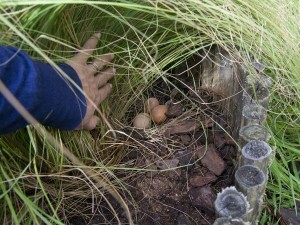 Good on the native, bad (maybe) on the self-seeding. 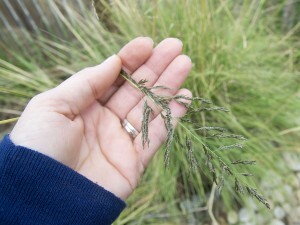 Google Eragrostis curvula and see what you think Barbie. Is it a match? This is a great help, thanks for all this Allan. I will Google and check this out. And I then need to change my posts th the correct name. 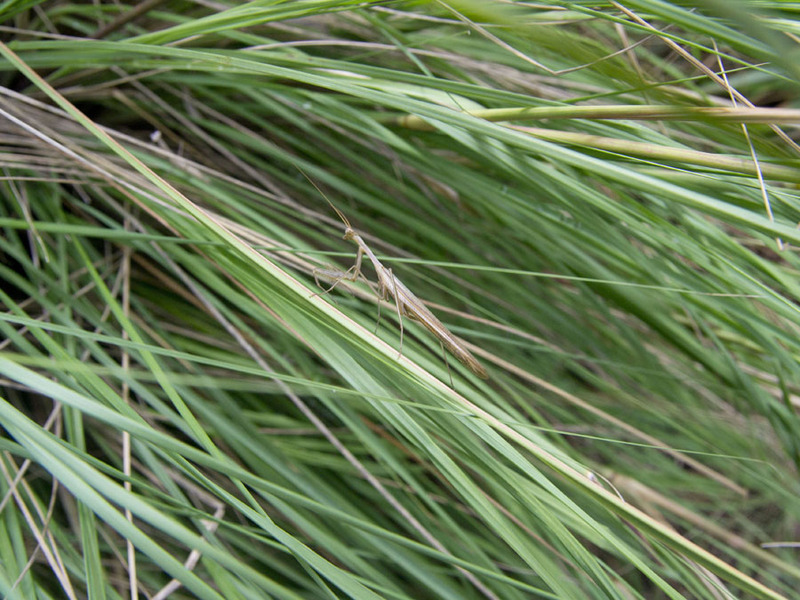 Ok – I have just Googled it and you are 100% right – Eragrostis Curvula – African Lovegrass – how apt! 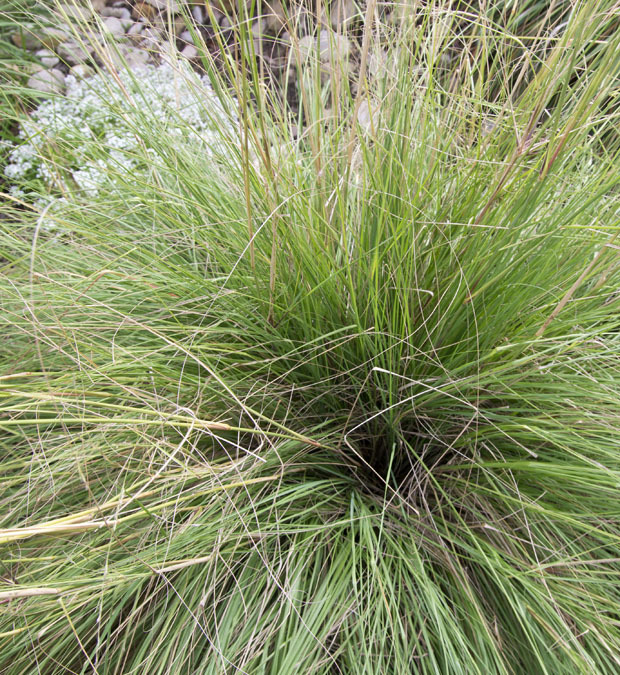 It is a lovely grass anyway and has a perfect position for it to shine! 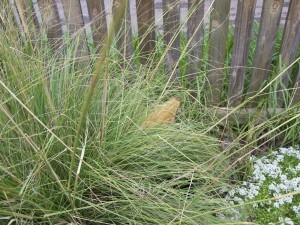 I will have to relook Miscanthus! We have now solved the mystery! Thanks a mill BIG thanks to Rick too.